It has been a busy month, this March, yes? 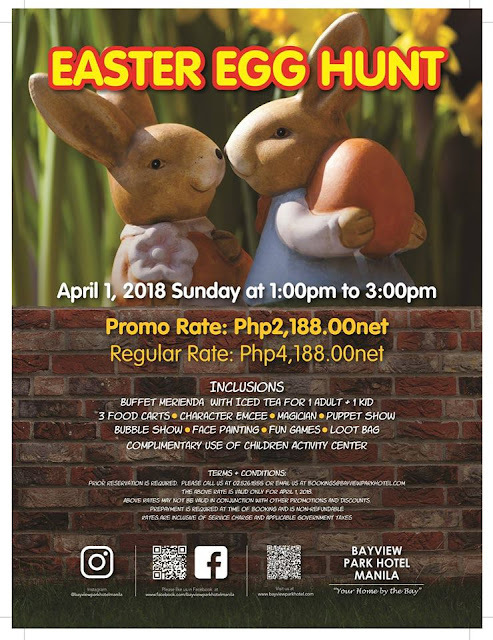 Holy Week is also coming up to give us time to reflect on your lives and commemorate how God loves us all so much that He gave His only son Jesus Christ to save us all. 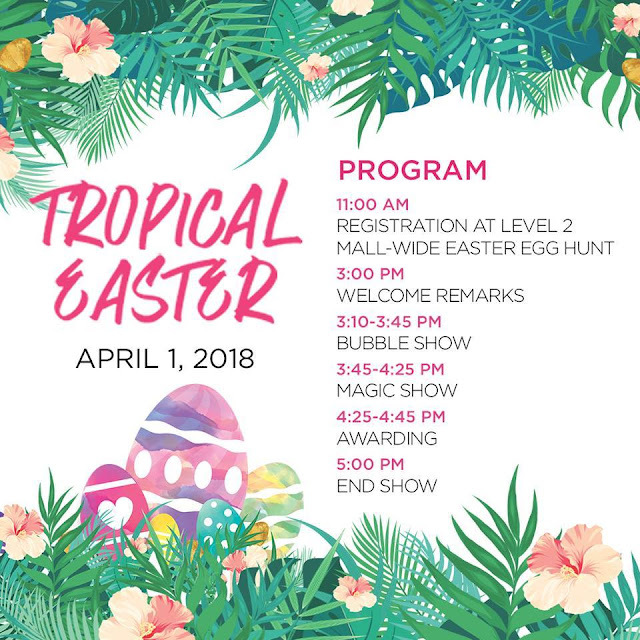 During this time, some families go on vacations or hotel staycations, some stay home and attend church services and pray, while others go on retreats. 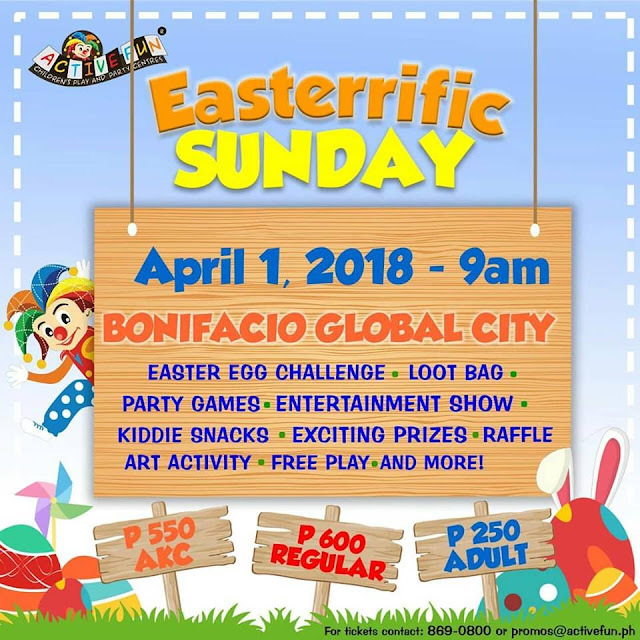 The most celebrated day of the Holy Week is the Resurrection of Jesus Christ or Easter Sunday. 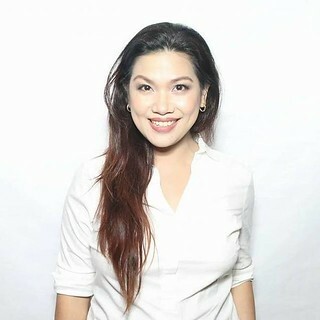 Mommies and Daddies, let's not forget the very reason for the season, Jesus Christ. 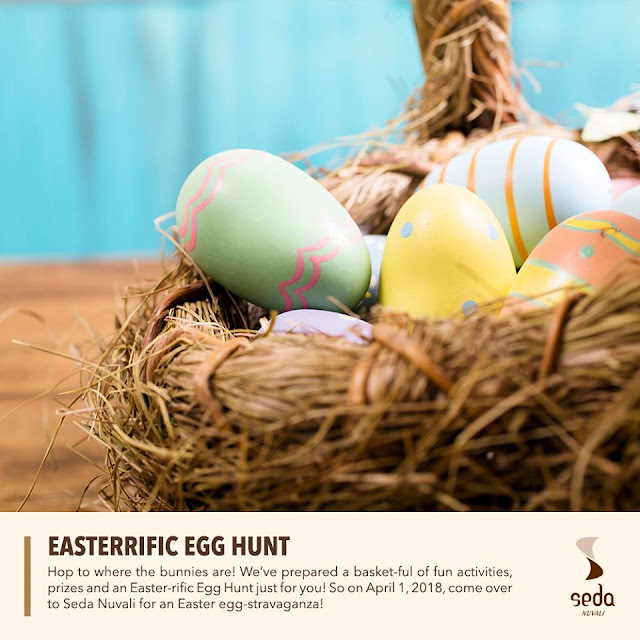 For most kids, what they look forward to are Easter Egg Hunting activities around the metro. 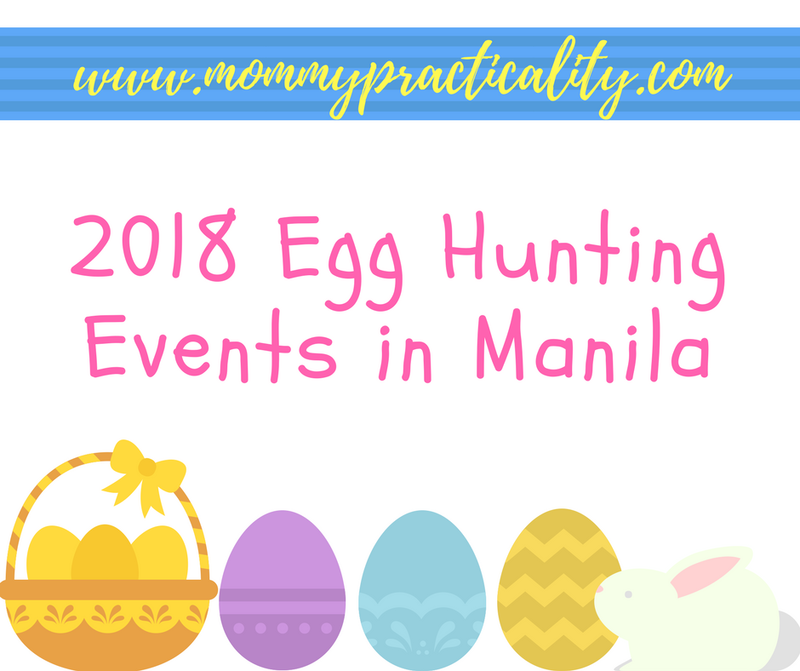 I hope it;s not too late to post this, here's a quick compilation of the egg hunting events in Metro Manila and nearby cities. Inclusive of egg-citing games, amazing show, goody bag, art activity, free play, lots of prizes, and so much more! 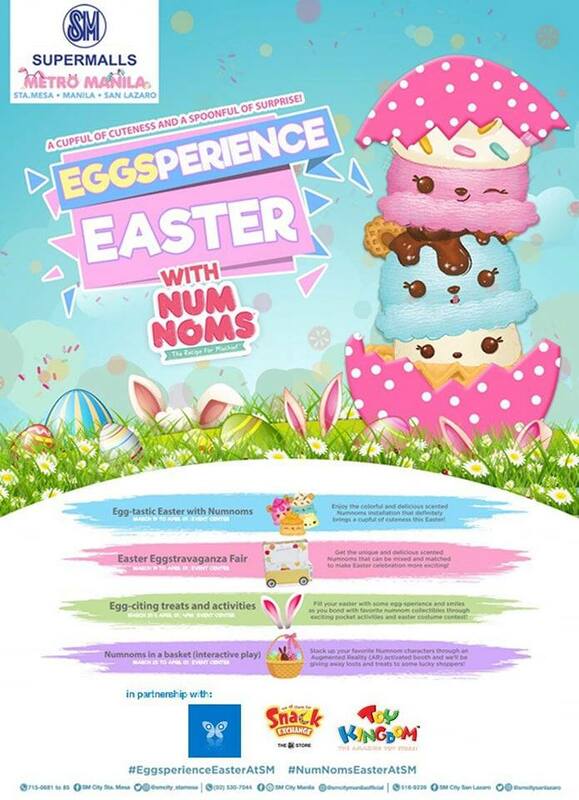 Inclusive of Easter eggs, take home special prizes and enjoy fun games and activities, plus a loot bag. Activities: Meet and Greet, Workshops, Easter Egg Hunt, Romeo Science Show, and more! 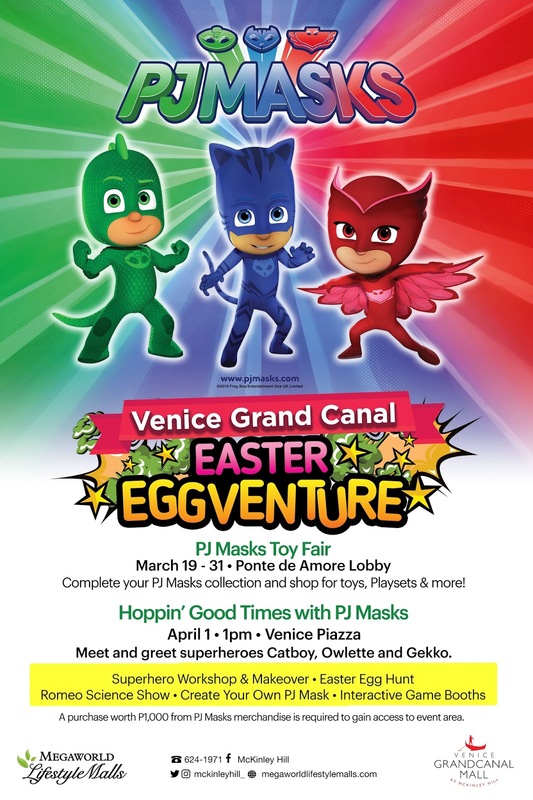 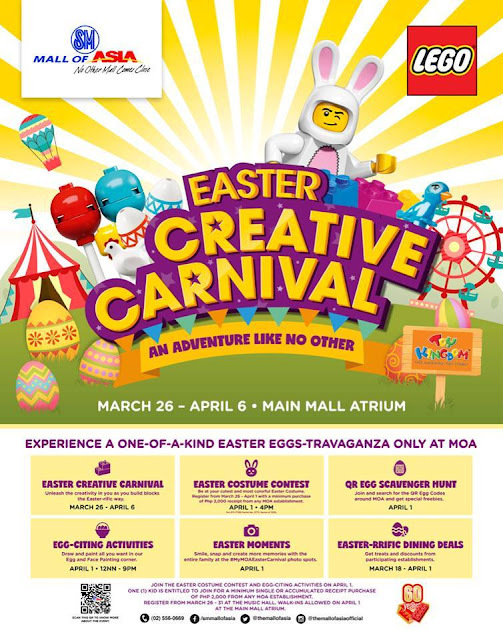 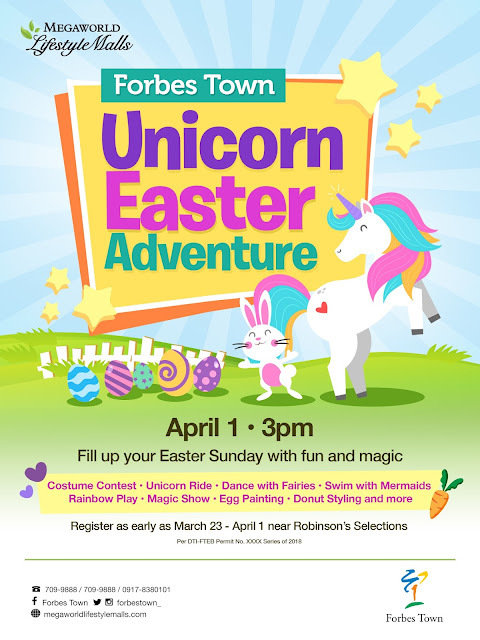 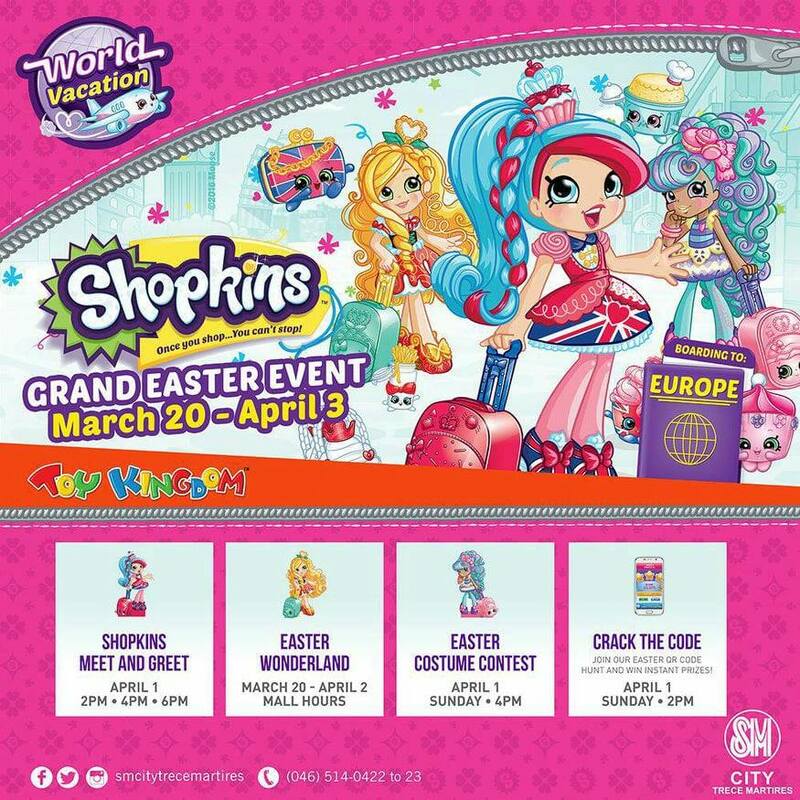 Activities: Meet and Greet Peppa Pig and George, Easter Egg Hunting, costume contest and kiddie activities. 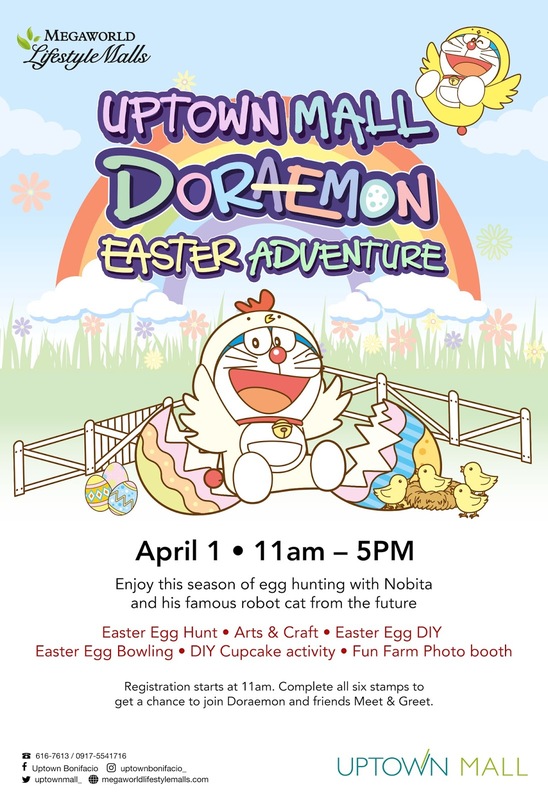 Easter Egg Hunt, Arts & Crafts, Easter Egg DIY, Easter Egg Bowling, DIY Cupcake activity, Fun Farm Photo Op, and more! Registration for the Meet & Greet starts on April 1 at 11am. 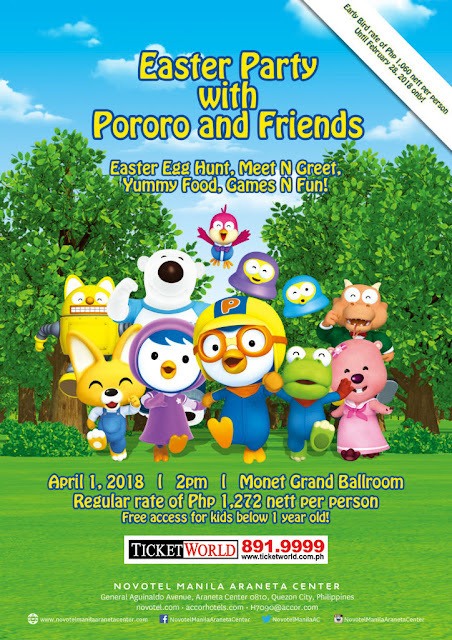 Complete all six stamps on your event passport to get a chance to join Doraemon and friends Meet & Greet. Inclusive of special giveaways, shows, and freebies. 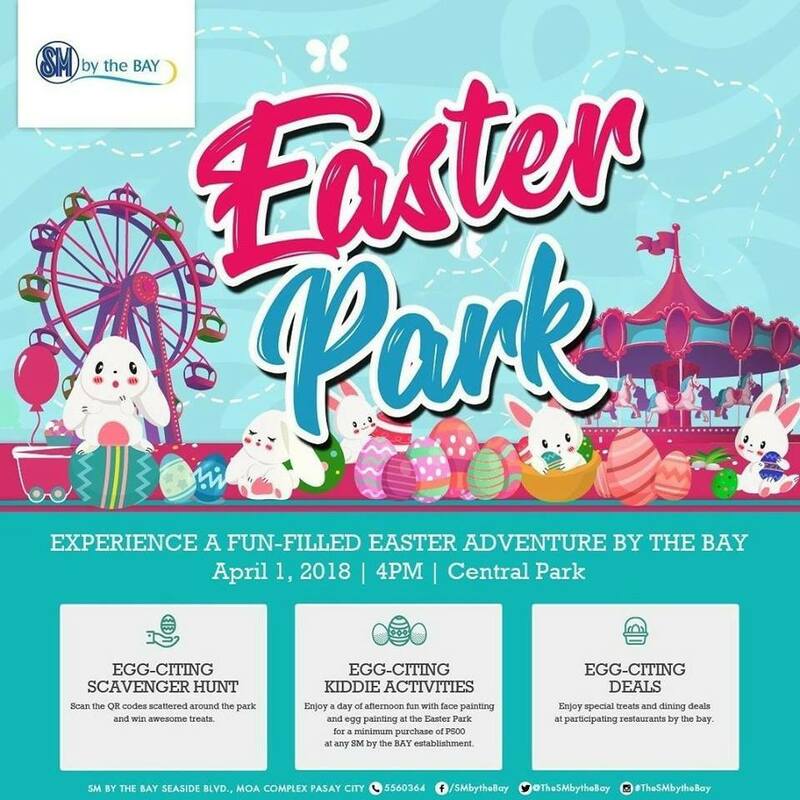 Php800 minimum single receipt purchase at any SM by the Bay establishments. Activities: Egg Hunting, Kiddie Activities, and more. 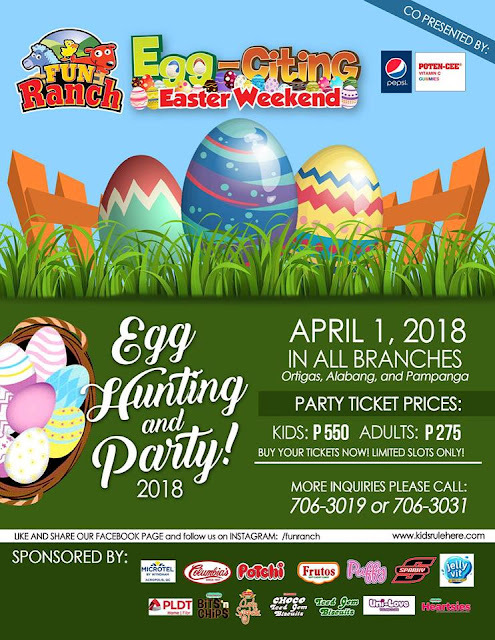 Php 500 minimum single or accumulated receipt at any SM establishments to join the Easter Costume Contest (for kids age 3 - 12 yo). Registration ongoing. Activities include: Easter Costume Contest, QR Egg Hunting, kiddie activities, photo booth, and more. 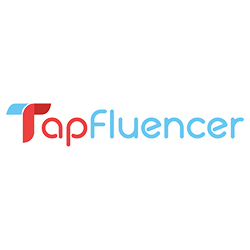 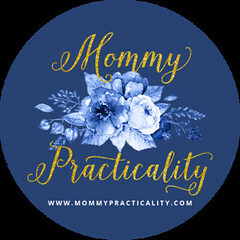 Please follow them on Facebook for minimum spend requirement and other information. 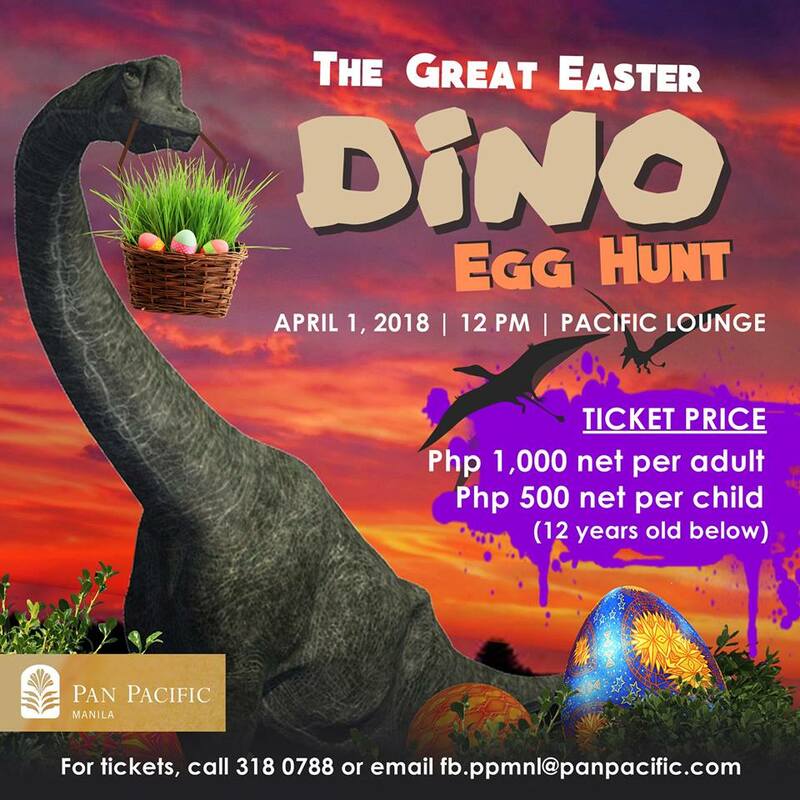 Free for other activities, Php 500 minimum single or accumulated receipt at any SM establishments to join the Easter Costume Contest (for kids age 3 - 12 yo). Registration ongoing. Activities: Egg Hunting, Games, prizes, and more! 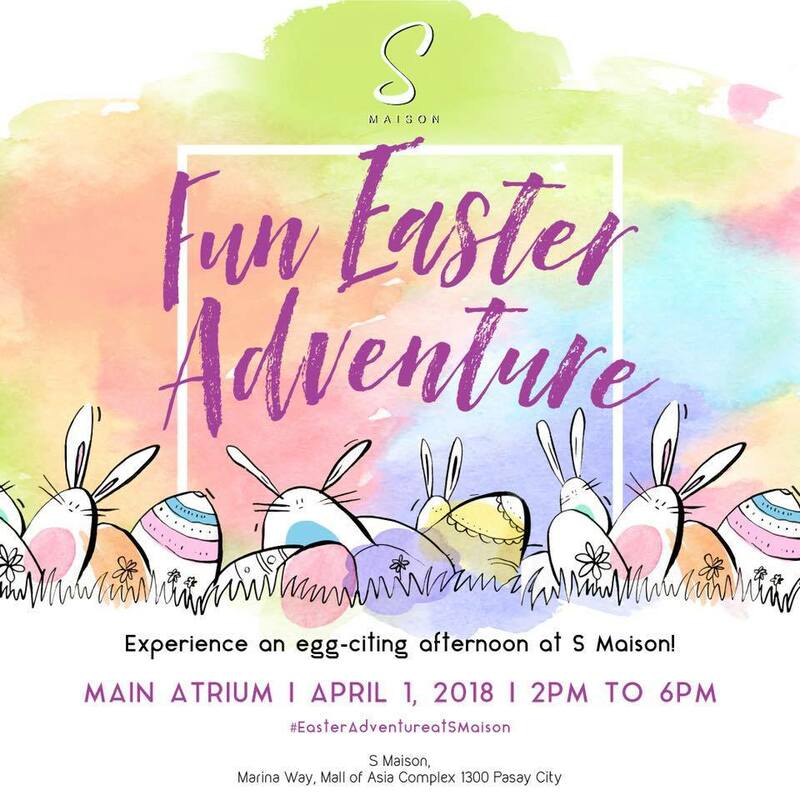 Php 500 per walk-in guest, Php1500nett dining spend on April 1 entitles one FREE ticket, or 2 FREE tickets when you stay between March 31 - April 1 (booking period from March 8 - 29). 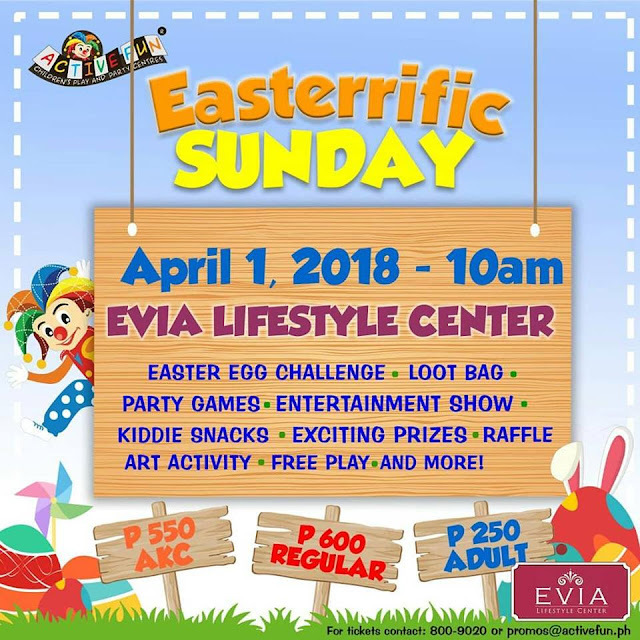 Inclusive of games, activities, and egg hunt. 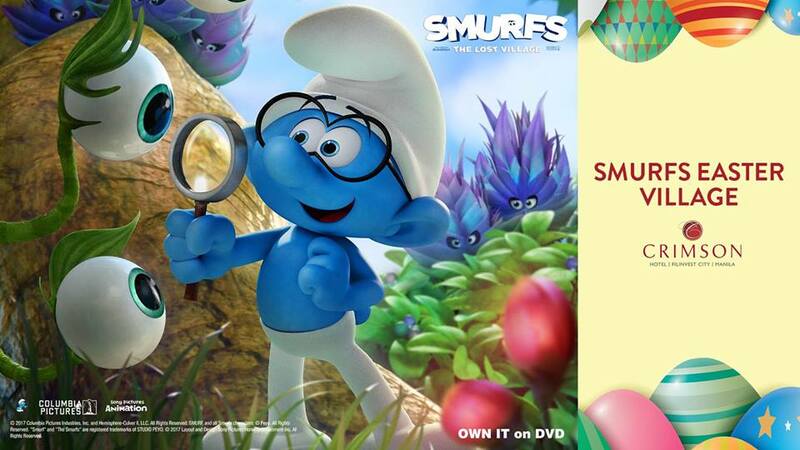 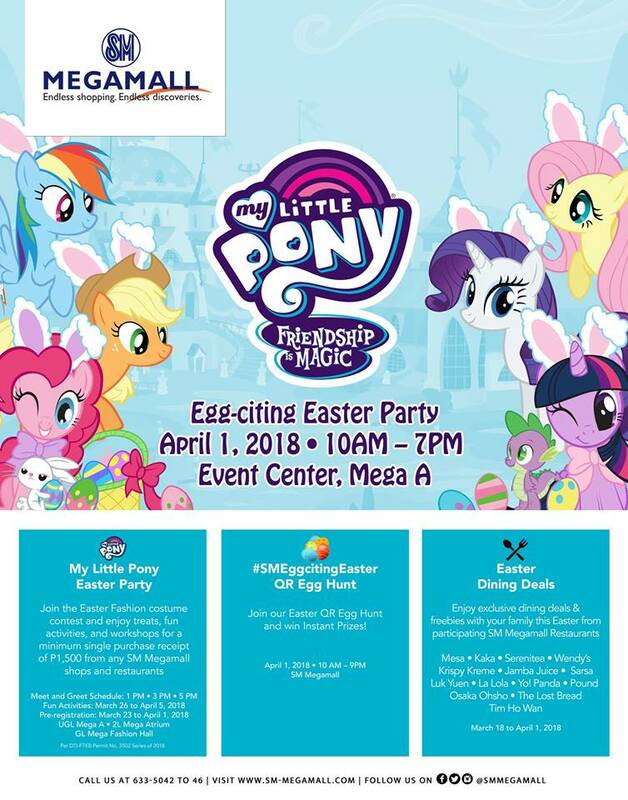 Inclusive of: Smurfs Meet & Greet, Smurfs Movie Screening, Egg Hunt Smurfs Village, Fun Games and Activities, Photobooth, Interactive Show at the Crimson Grand Ballroom, Costume Contest, Egg-decorating Contest, special giveaways, loot bags, and meal box. 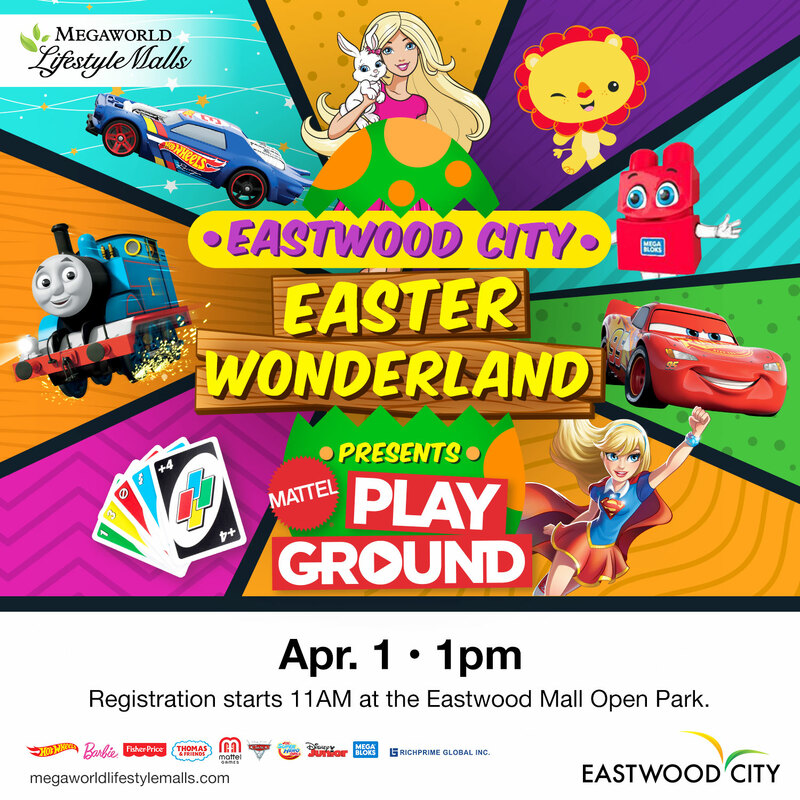 Inclusive of: All-access pass to: Easter Egg Hunt, Bouncy Time, Pet-a-Bunny, Color Buddy, Praline/Cupcake Workshops and more. 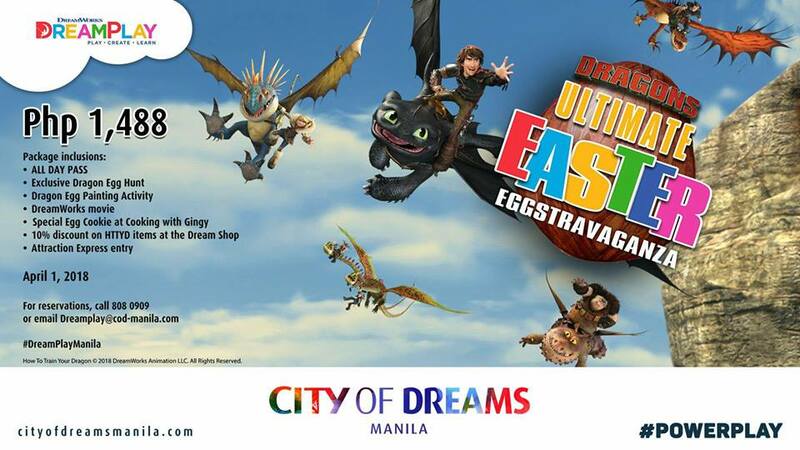 Php 1,000 dine in amount in Misto to get a pass for 1 adult and 1 child. 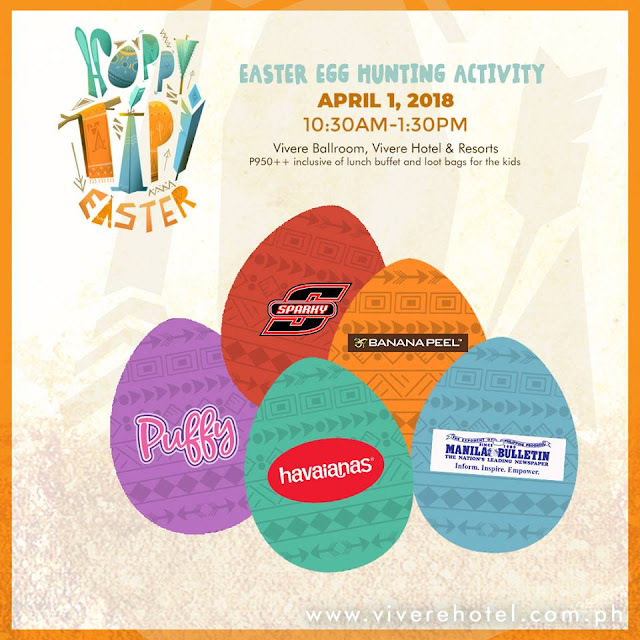 Activiities: Egg hunt, games, prizes, and more! 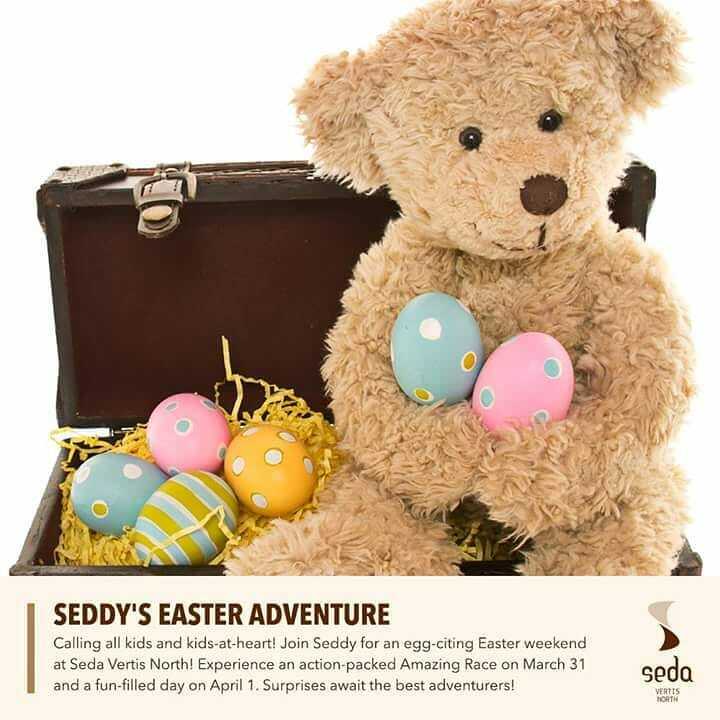 For more info, like them on Facebook, call (049) 255 8888 or email reservations.nuv@sedahotels.com. 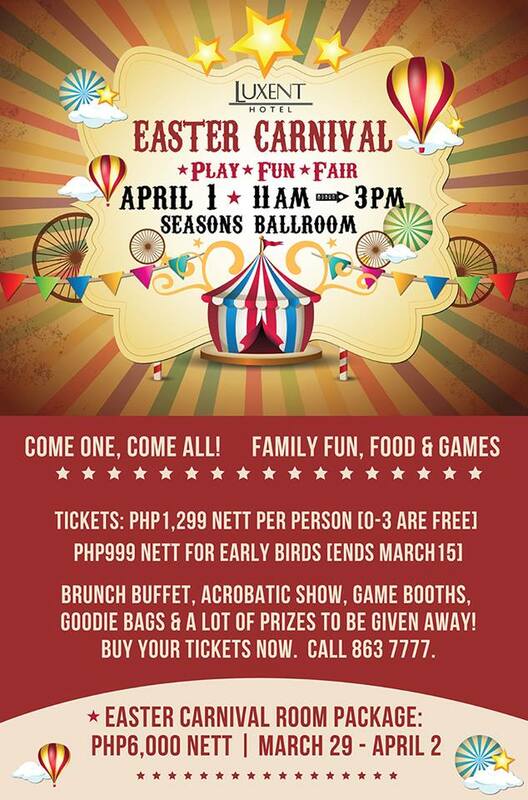 Games, booth activities, scrumptious buffet, performances, and amazing prizes. 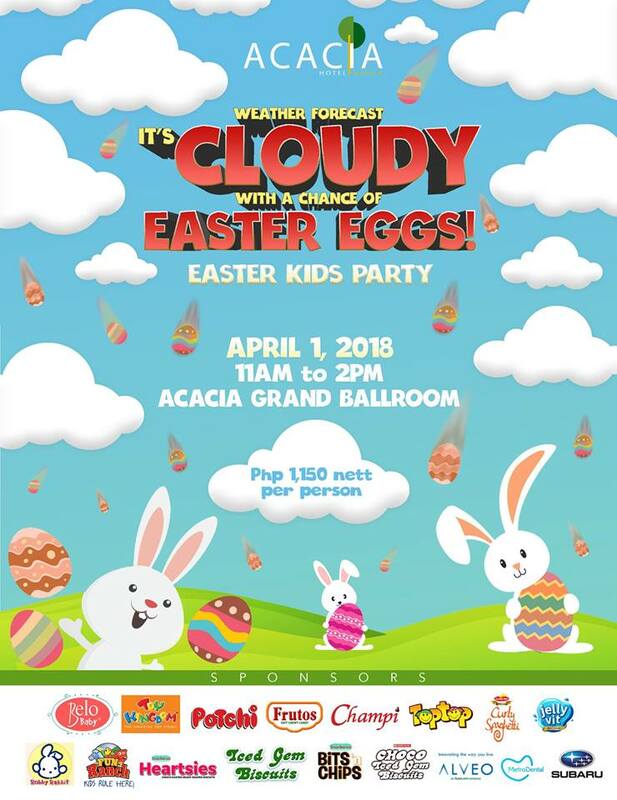 Buffet merienda plus lots of activities for kids. 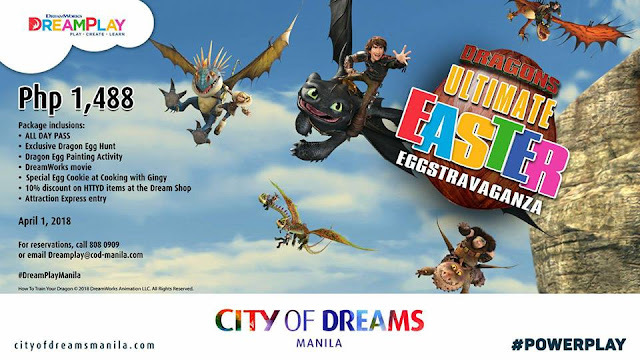 Php 1,200 (1 Adult and 1 child); Php 800 additional kid rate; Php300 additional adult; 0-11mos babies are free of charge. 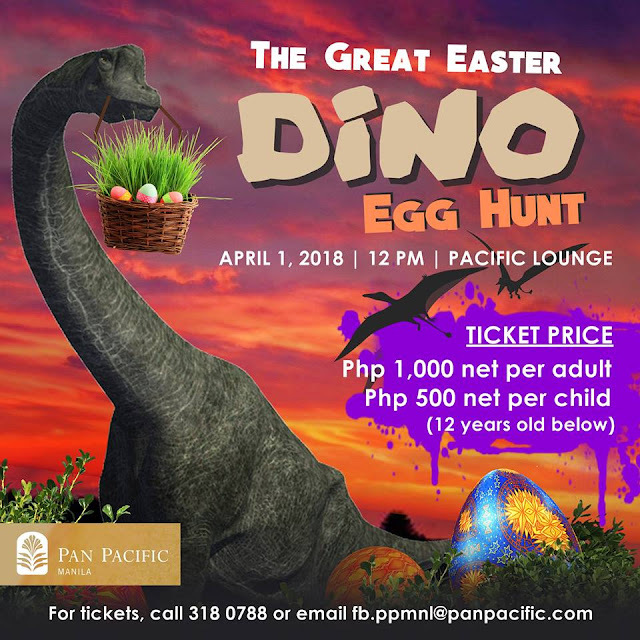 Php 1,188 nett per person. Inclusive of: Brunch buffet, shows, games, loot bags, Easter Egg Hunting, and more. 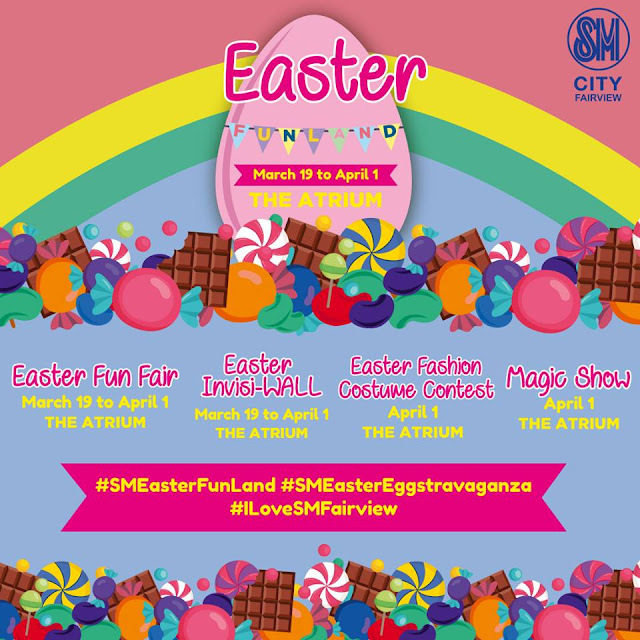 Activities: Easter Egg Hunt, Bubble show, Magic Show, and more. 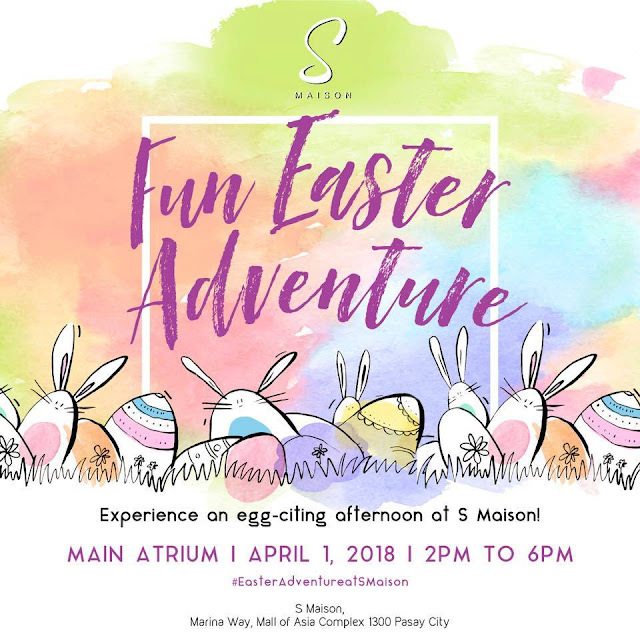 Php3,000 minimum single or accumulated receipt purchase from any S Maison establishments. 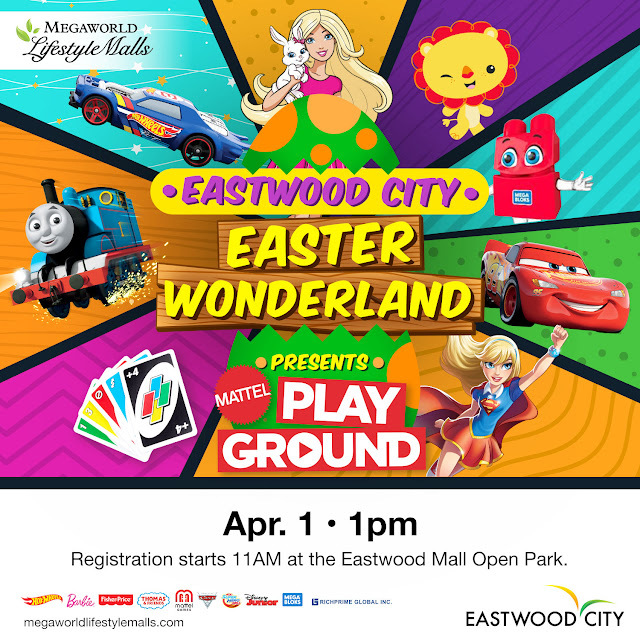 Activities: Fun and kid-friendly workshops: Easter Cookie Painting, Easter Egg Hunt, DIY Easter Bunny Bookmark and Easter Goodie Box. 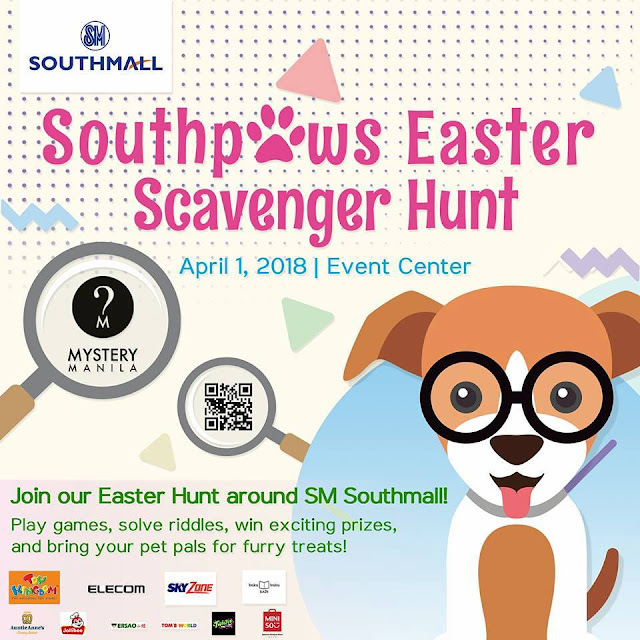 Activities: Games, prizes, Southpaws Easter Scavenger Hunt, and more! 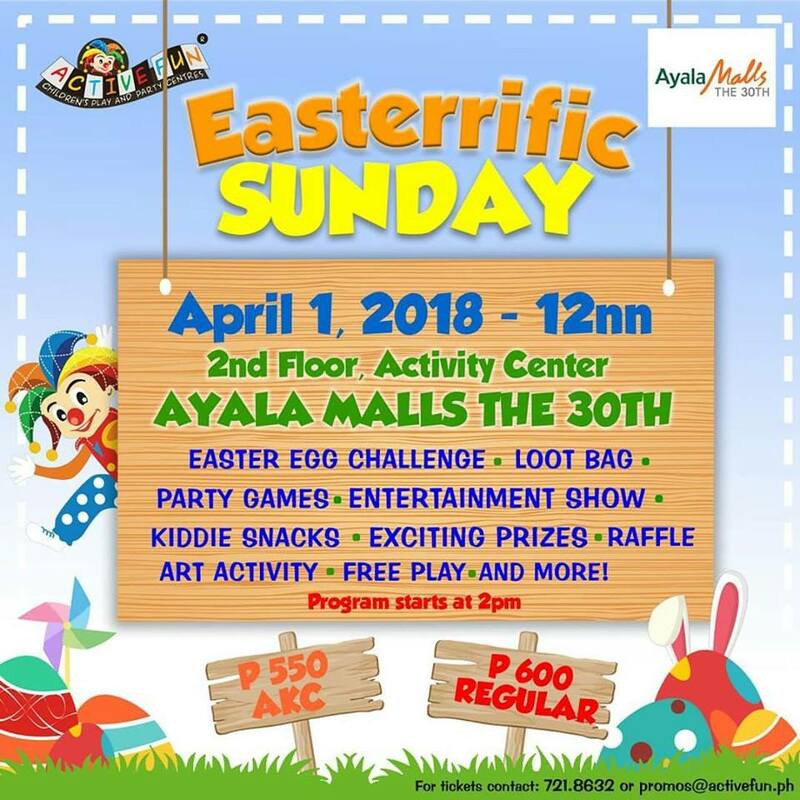 Inclusive of Easter Egg Hunt, Meet and Greet, Food, Games, and more! 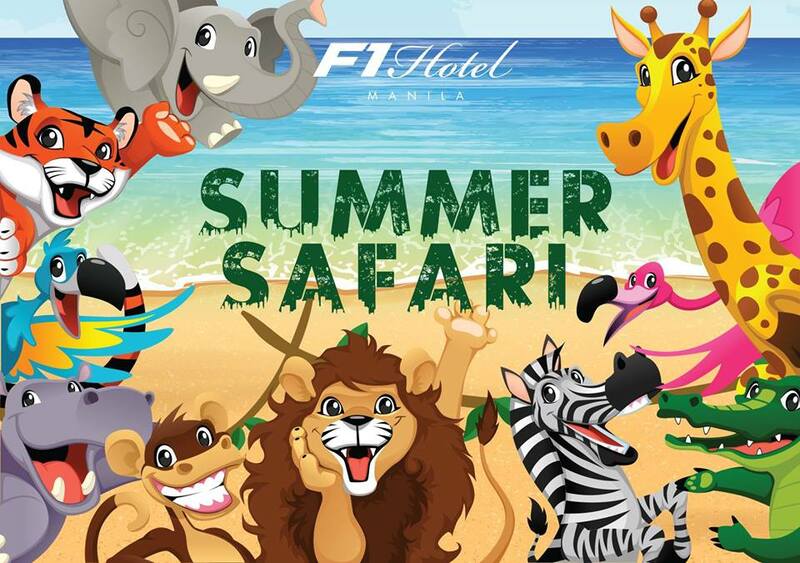 For more info, like them on Facebook or visit www.imhotel.com. 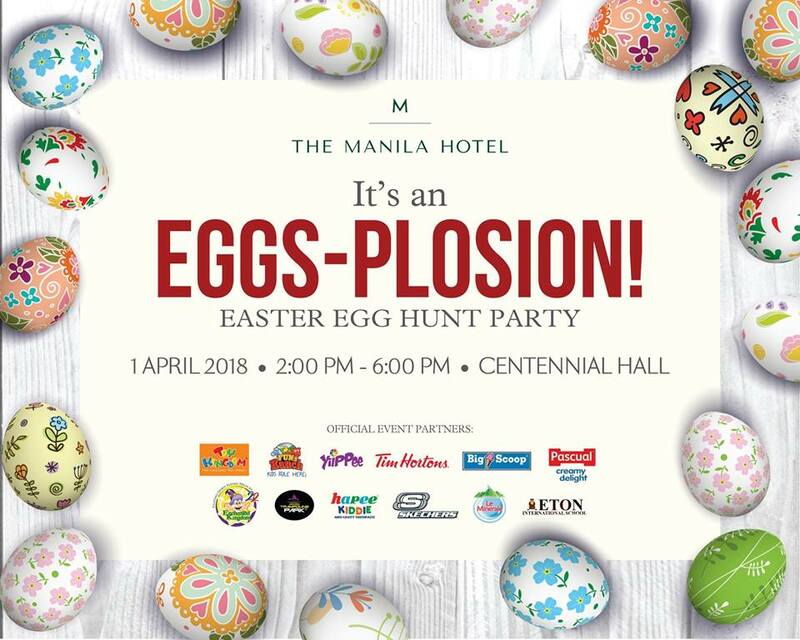 To book and secure your easter tickets, please email reservations@imhotel.com or call +632 7557 888. 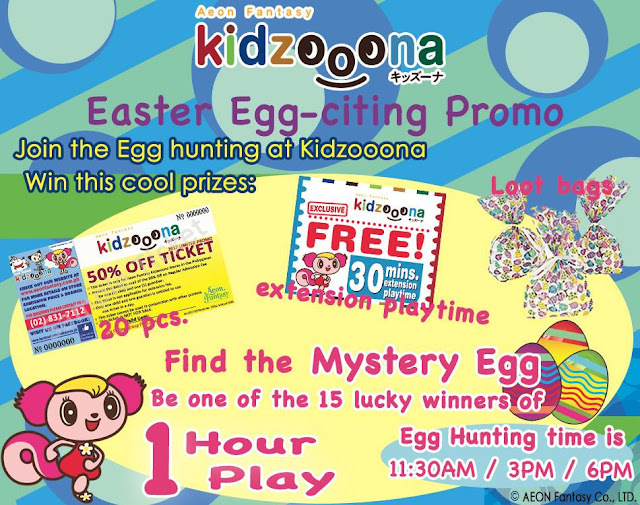 So there you go loves, Easter Egg Hunting activities which are FREE, Php1,000 under, and over Php1000. 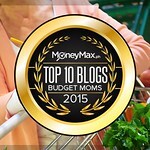 These activities are compiled annually, listing for everybody, for every budget. 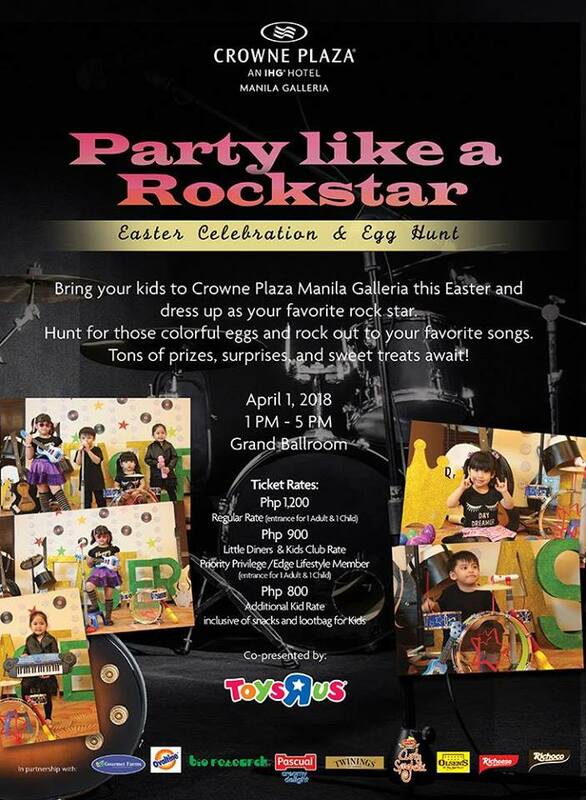 The most important of all is to celebrate Jesus' resurrection by having a good family bonding full of fun and love!